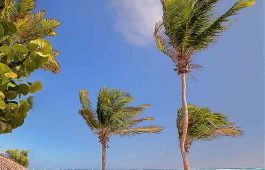 For some people, the Best Beach means secluded, clean beach with leaning palm trees. Others consider the Best as the beach with transparent shallow waters and white sand. 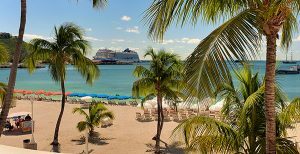 Some would say the Best Beach is where lots of people to look at, music and food to enjoy and various activities happening all day. We used all these criterias, and based on our judjing below is what we got. Please note – all these beaches are not in particular order of preference. We just started from North and ended in Southern part of the island. 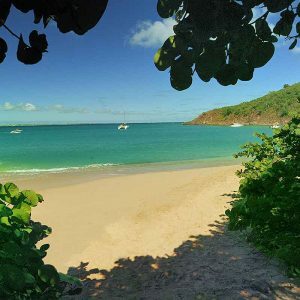 #1 Anse Marcel Beach located on the North West tip of the French side of the island. 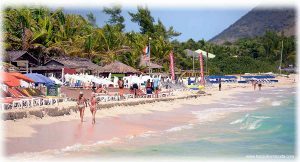 This beach is located at the base of the Port Lonvilliers Resort, sheltered and well developed. The water here is calm which make it popular with families. The proximity of resort and marina offers shopping and dining. 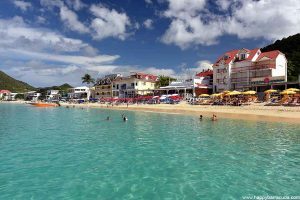 #4 La Samanna and Baie Longue Beach (or Long Bay) on French Side located in the heart of the Low Lands on the western coast of the island. 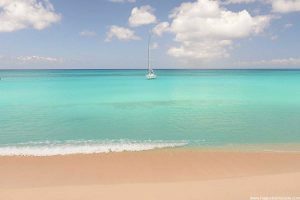 Long Bay is one of Saint Martin’s quietest beaches you can hear only the gentle sound of the waves rubbing on the white sand and occasinal pelicans… The bar at La Samanna’s restaurant is the perfect place to view the beautiful sunset. 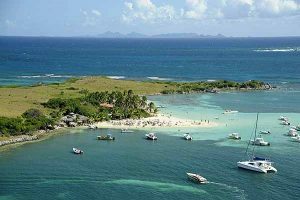 #5 Ilet de Pinel Beach located on the small paradise island off the east coast of St. Martin at the heart of nature reserve. Name after buccaneer Pinel who as per legend attempted to capture Saba, but failed and set back on this island. 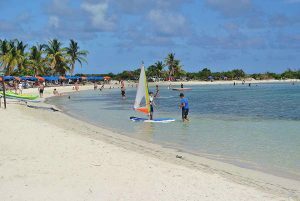 The part of the Pinel facing St. Martin offeres white sandy strip with quiet and clear shallow water popular with families. There are couple beachside cafes. The other side of the island is less attractive, the beach is stony and not developed. To get to Ilet de Pinel take a taxi boat from the pontoon at Cul-de-Sac. 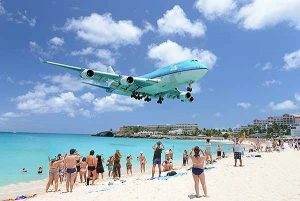 #6 Maho Beach – top visited for its unique location right at the end of the Princess Juliana Airport runway. 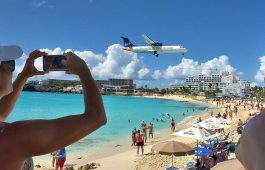 Crowds gather to watch jumbo jets take off and land. Sunset Beach Bar offers drinks and pizza… always busy place! Don’t forget to check for the beach condition before visiting! 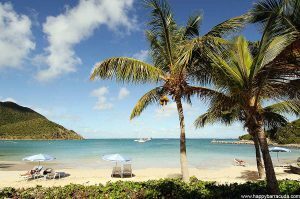 #8 Friars Bay Beach is a very scenic, family friendly beach. 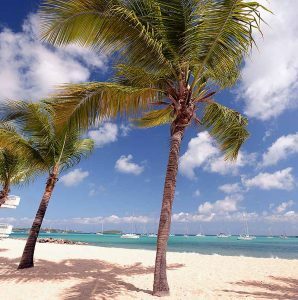 The beach is nicely sheltered with calm Caribbean waters and pure sand. 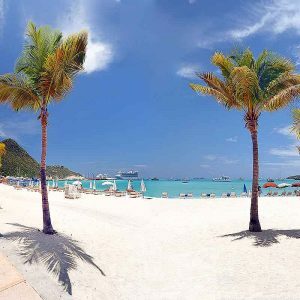 Friar’s Bay Beach Cafe and Kali’s Beach Bar offer freshly made food from lunch to dinner… when the sun goes down Friar’s Bay Beach filles up with sounds of rock and reggae – don’t miss the legendary Full Moon parties at Kali’s Beach Bar. #10 Le Galion Beach – one of the best for families with young children due to extended shallow waters. 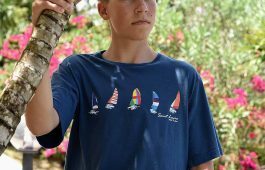 Also popular for the surfing lessons for all ages, snorkeling and paddling. The beach well sheltered and protected from the ocean by coral reef. Here you will find a beach bar that is open from lunch and offering freshly made food and drinks. 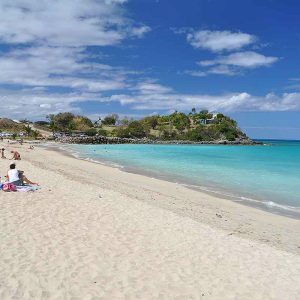 #11 Sandy Ground Beach is known as quiet and clean beach, protected by small coral reefs. Turquoise waters usually are calm and clear with few people around. #13 And the Best one… – Oh, well… we’ll let you judge! 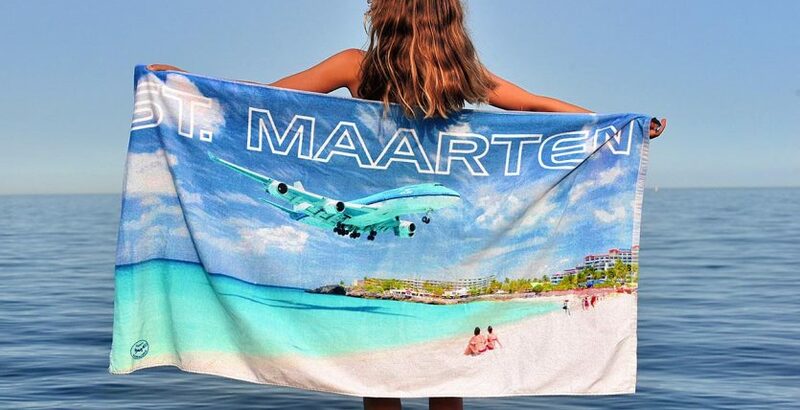 The island has 36 known beaches, we mentioned only the ones we think you should definetly visit. May be you’ll discover more! And if so, let us know!